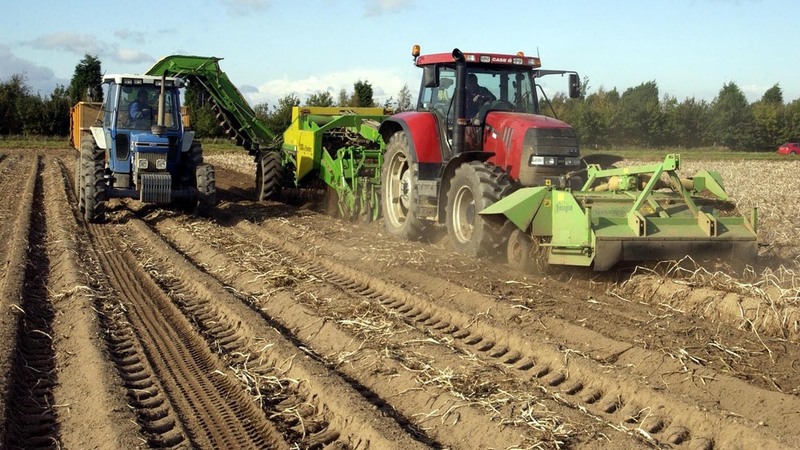 With the potato harvest virtually complete, generally good harvesting conditions enabled many growers to meet their contracts, however, yields and quality are average following a less than ideal growing season. It has not been a good spring or summer. It has either been too hot, too cold, too wet or too dry. Any crop would not like that. AHDB market analyst Arthur Marshall says although harvesting had been a week or so behind average, there had been no significant problems with getting the crop lifted. Ben Sykes, who grows 220 hectares (550 acres) of potatoes near Tadcaster, North Yorkshire, says harvesting went well. “It started a bit too dry and we had a bit of bruising but we had rain between October 10-14 which led to perfect harvesting conditions. We finished on October 28; we usually aim to finish by the end of October. Mr Sykes supplies potatoes mostly for processing to McCains as well as to two manufacturers for crisping and some small processors. The very dry weather in some areas meant growers had to irrigate before harvest to minimise bruising risk, says Mr Marshall. “It was the driest October in more than 40 years. Although we have no firm figures, anecdotally there are reports of greening, growth cracks and bruising. While total production figures are as yet, unavailable, current pricing reflects expectation of a smaller crop, says Mr Marshall. “Prices are above where they were last year. On a historical basis, this time last year prices were relatively strong. This year they are higher than any year except 2012-2013. Norfolk-based independent agronomist Simon Alexander says it has been a difficult year, weather wise, for potatoes. While Mr Alexander has seen a little bruising, blackleg, bacterial soft rot and tuber blight, most of the crop is ’not too bad at the moment’, he says. Careful storage of potatoes will help minimise susceptibility to storage diseases, says Morley Benson, of Certis. “We have had a relatively dry harvest this year, which can cause excessive bruising to the crop and leave it more susceptible to storage diseases. “Curing is important, as is making sure the crop is as dry as possible before storage. Application of CIPC should be around three weeks after harvest or at the earliest opportunity thereafter, as once tubers break dormancy it is difficult to regain adequate control. “Keep stores cool, take regular samples of the potatoes and stay vigilant. If the crop is starting to sprout, then do not store it – move it out as soon as possible,” he advises.